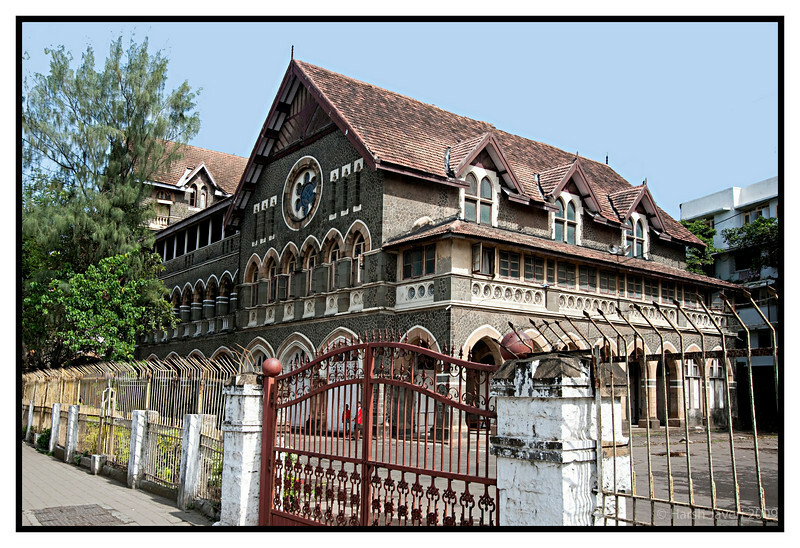 The college, established in 1832 and built in 1840 overlooks the Arabian Sea, at Girgaum Chowpatti Beach in South Mumbai. It is named after its founder Dr. John Wilson, (1804-1875). Being the oldest college in Mumbai (Bombay), it precedes the University of Bombay. It became affiliated to the University of Bombay in 1861. Along with Scottish Church College, Calcutta, and Madras Christian College, Wilson College was one of the few institutions for higher education in early 19th century colonial India that was started by and initially affiliated with the Presbyterian Church of Scotland. I really like your angle on this. The fence adds a lot to the shot, but the building is really interesting, too. Wonderful architecture captured in this photo. very cool shot, nicely done..